Established in June, 2013, North Austin Influencers™ membership has grown to over 1300 members strong on the Meetup platform. 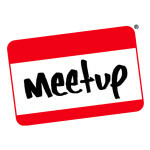 There is no fee to be a member of the Meetup group. Several ways to start participating TODAY! Influencers from the community continue conversations and share their expertise on the web on the Austin Influencers’ Google Plus community and LinkedIn group with over 1200 members on each of the platforms. Check out our North Austin Influencers continuously growing Facebook Page. Please be sure to Like and Share . Subscribe to receive monthly information on resources, event reminders, leadership opportunities, and meet influencers in our area. Together we can continue to influence our local area! Find out more about Directory Membership. The group is powered by MUNDU Media, LLC.